Before you create a YouTube channel and start producing videos for your business, take some time to really focus on what the objective of your company’s YouTube channel will be. Boost your company’s brand awareness and enhance its credibility. Share details about your company and what it offers with a local, regional, national or international audience. Introduce details about a new product or service. Advertise an existing product or service. Better educate customers about your company and its products. Help existing customers better use your products by showcasing ways to use them that customers might not have thought of, and by sharing ways your customers can save time and money, and simplify their lives by using your product. Generate new leads for your sales team. Teach potential customers about the benefits of your product(s) or service(s) by offering video-based product demonstrations, comparisons and unboxing-type videos, and explain how to best use them through demonstrations, thus helping to remove buyer objections. Share customer endorsements or testimonials from existing customers with potential customers. Expand and enhance your company’s product or customer support. Answer common customer questions related to your products using a video format that will reduce the number of customer service-related calls or emails your company receives. Compare your product/service with what the competition offers. Provide support for real-world or online-based retail promotions or contests. Broadcast and stream an event live over YouTube, or share recorded highlights of an event with customers/clients or others who couldn’t attend in person. Use a live broadcast so viewers can experience an event in real-time (such as a press conference or product launch), without being there in person. Increase direct sales for whatever your business sells. Someone could watch a video, click on an embedded link, and then place an order from your company’s website, or call a toll-free order line, for example. Offer a “behind-the-scenes” look at your company, allowing you to tell your company’s story, “humanize” your company, share your company philosophy, and discuss ways your company is superior to your competition. Build customer loyalty and better define your brand by sharing information, then allowing people to share comments about your videos, as well as your products/ services, plus interact with each other through video-related comments and replies. Once you know what the benefits of your YouTube channel and content will be for your company, focus carefully on the benefits your content will offer to your audience. To make your YouTube channel (and your individual videos) a success, you’ll need to create content that caters to your company’s own wants and needs, but that simultaneously appeals to your target audience in a way that will keep their attention. With a specific goal or set of goals in mind, the next step is to draft a core message that you want to consistently convey through your videos to your audience. This message should be consistent with the existing marketing and advertising messages you’ve already developed for other forms of media. The message you develop should be carefully crafted for your audience and be short, memorable and easily understandable. Once you have brainstormed your core message and the goal(s) for your YouTube online presence, start thinking about all the ways you can present that message via your YouTube videos, again focusing on originality, memorability and consistency. 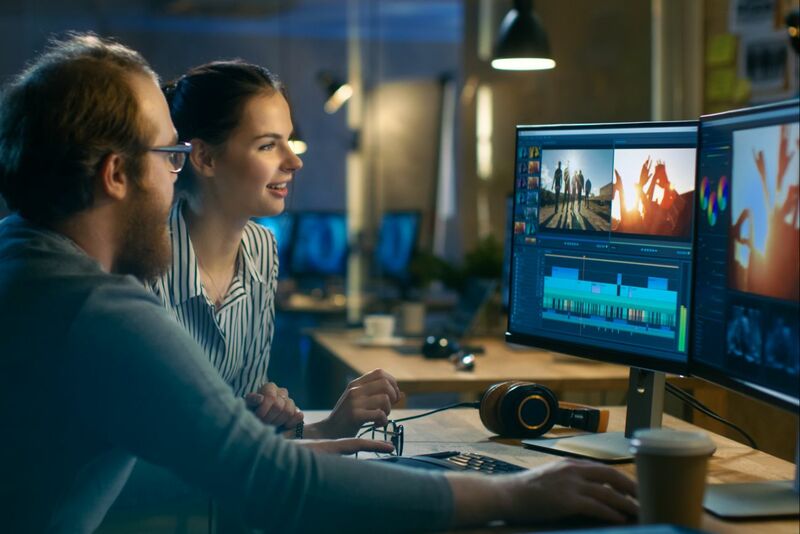 Depending on the approach you take with your videos, you’ll want to keep them short (between one and six minutes in length) and stay on-point with your messaging. YouTube viewers have very short attention spans, so it’s important to capture someone’s attention quickly and expect to hold it only for a short period of time. Determine how you want your audience to react as they watch your video(s) or after watching them. For example, do you want viewers to visit your company’s website and place an order, or do you want them to share your message with their own online friends? Perhaps you want your viewers to “like” the video by clicking on the thumbs-up icon or leave a public comment about the video. Think about how you’ll rally your viewers to do whatever it is you’d like them to do. This will be your call to action. Always remember, however, that your videos should help convey your core message, be synergistic with your company’s other online activity, and be aimed at achieving your overall goals or objectives.